I'll confess that I love that I can knit as much as I want without a back spasm. I'm taking advantageous of this blessing and knitting all the knits while also taking responsible breaks to stretch and rest. I don't want to be too crazy. Okay, let's talk knitting! The above photo is a new knit, and yes, another purl ridge scarf by Stephen West. This is the third cowl for the holiday season and I have the pattern memorized so it's easy breezy happy knitting. Because of all the easy breezy knitting, I started a shawl, Sprite's Fen Shawl, by Helen Stewart. 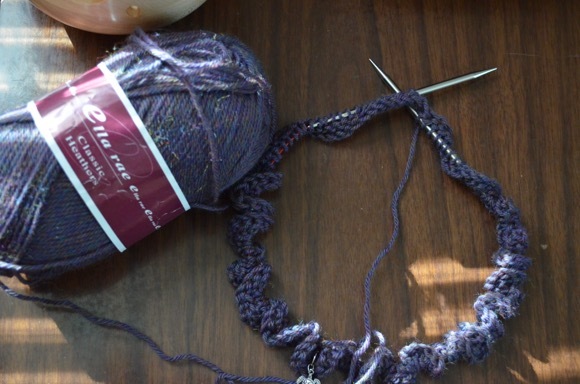 I highly recommend her shawls if you are beginning to start some lace knitting and are afraid of charts (but you should NOT be afraid of charts). She writes her instructions, line by line, with a stitch tally at the end of each row. Also she gives you a percentage done along the way. I am between 5 and 10% done...it's a long knit! 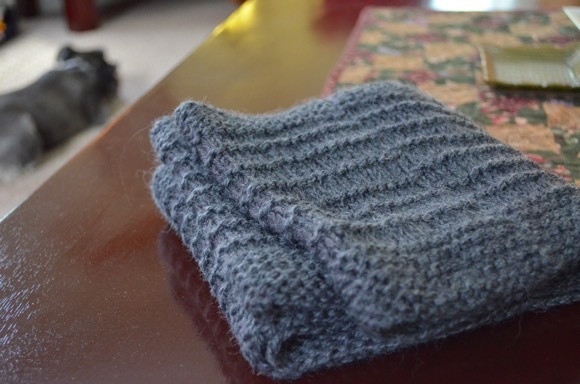 Here is a photo of the first cowl and the ravelry notes are here. What are you crafting up these days? Well, now you have me intrigued by the shawl - I really find charts difficult, though simple ones are doable if I'm paying attention. But the pattern you mention, besides being pretty, sounds like it's fairly understandable. That shawl is going to be really lovely! I like Helen Stewart's patterns, even though I am not skilled enough yet to try one. : ) My Ingrid's Cowl by Twisted is coming along well, and I've even learned how to rescue slipped stitches! Progress, LOL! I am trying to get a cancer blanket assembled, so personal knitting is on the back burner except for my Tuesday night knit group. This is my weekly treat to myself... and entirely worth it! I have an afghan square on the needles, still need to finish a baby sweater sleeve, have 2 quilting projects under the needle-both Fall themed, and have plans to pack yarn for an unexpected trip to Colorado next week! So excited to be visiting friends at their wilderness site. Not too excited about the bathroom accommodations, but we will survive. LOL! 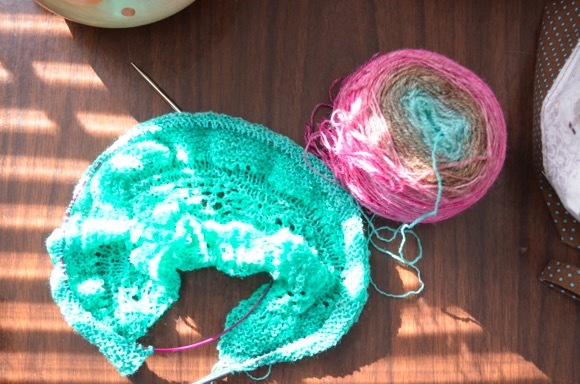 That shawl is beautiful - the perfect match of a lovely pattern and beautiful yarn. I'm looking forward to seeing the progress in the pattern and the gorgeous colors as they unwind. I'm forcing myself to work on (and finish) my Match & Move, and starting a pair of fingerless mitts for Ryan's birthday in October. That's my treat for myself tomorrow since I just finished all the chores on my list! Wow, you are busy. I love the shawl a stunning make. I am working on washcloths to go with some soap the I intend to make and a blanket for our Grandson. I have several sewing projects on the go too. Beautiful knits. It makes me want to pick up my needles and get to work. That will be a gorgeous shawl! the pattern is lovely and the color is wonderful. My knitting these days is in very small bits. busy times, but it's all good! Beautiful gradient yarn you are using for the shawl ! On the needles I have a sweater, Smoke. I’m almost to the sleeve separation. What a relief that will be. I’m also finishing my second Water hat for Thea Coleman’s charity knit for the children of Flint Michigan. At least two more to go! That teal and pink yarn is divine! Helen Stewart does write great patterns! I'm sure this one will come out beautifully with the yarn you've chosen. I'm struggling with what should be a simple pair of socks -- a Helen Stewart pattern -- but I keep messing up. I'm hoping that things will go better after the holidays. 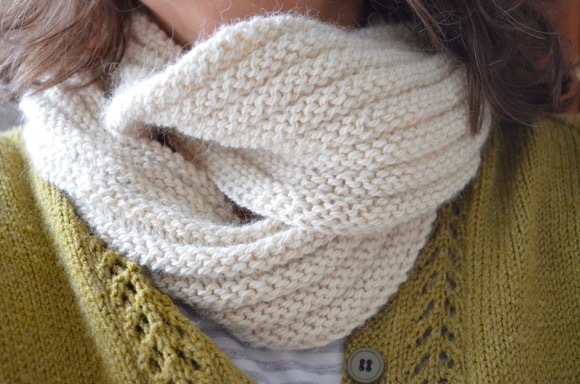 Love the simplicity of the Stephen West cowl. I may have to knit a few myself. Can't wait to see how your Sprite's Fen progresses. Ok, you have convince me to knit the S. West cowl, I have yarn here in my stash( of courseI do) that would be perfect. 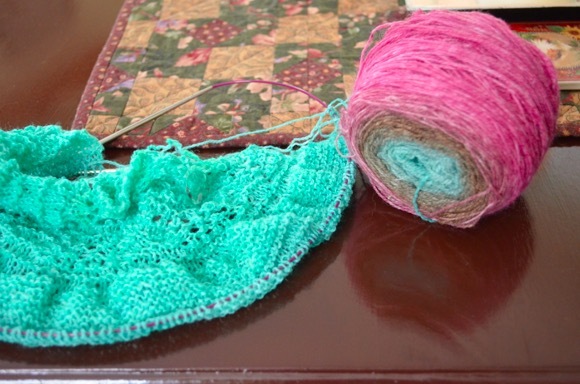 The lace shawl I have put in my projects for a future knit. Thanks for the recommendations. 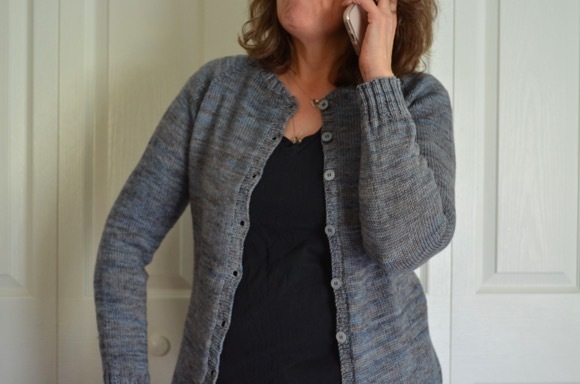 I am so glad you are able to knit without back spasms. Your shawl is so bright and cheery. That pattern is pretty too. I honestly think that shawls are my favorite thing to knit. Thanks for the tip on the cowl pattern. So glad your back is cooperating with knitting these days. I am knitting a baby/toddler hat and a shawl and a washcloth.